APElise Stefanik is running for a House seat in New York’s 21st congressional district. 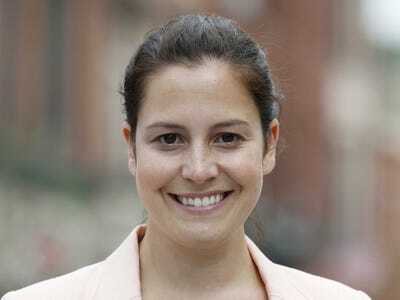 Republican Elise Stefanik became the youngest woman ever elected to Congress on Tuesday, romping to a 22-point victory over Democratic challenger Aaron Woolf in New York’s 21st congressional district. The 30-year-old Stefanik is considered a rising Republican star and is already a favourite among Republican leadership, which campaigned and fundraised for her in her district. Stefanik is the first Republican to win the district, which had been held by retiring Democratic Rep. Bill Owens, since 1990. For more on Stefanik and her fast rise in the party and district, check out our profile of her here.